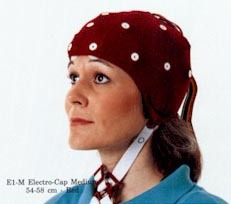 Intermediate cap sizes are available. 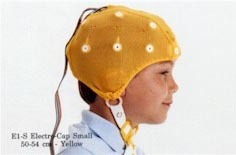 See price list for measurements. 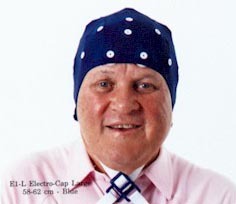 Electro Cap & Infa Cap Products - Call 212-222-5665 - ElectroCaps & InfaCaps Are EEG Electrode Application Techniques that Can be Used to Record QEEG. 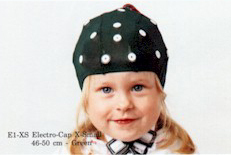 They are made of an elastic spandex-type fabric with recessed, pure tin electrodes attached to the fabric.